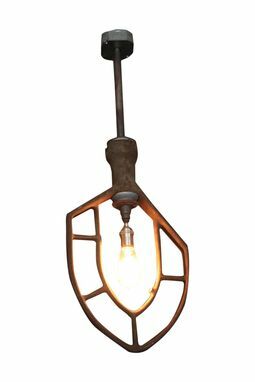 Reclaimed vintage mixer repurposed into a pendant light. Like what you see but need something different? Design and create your own unique lighting with us.